Twitter and real time search continues to attract buzz, and Google’s reacting by positioning its “Hot Trends” information in a place where more people will see it, within Google’s regular search results. 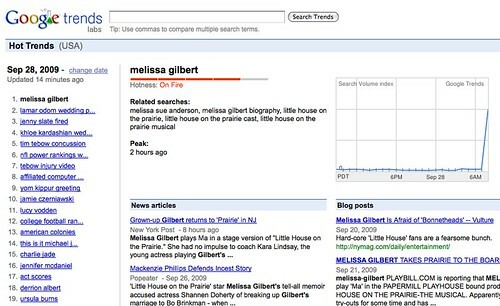 “The idea behind the [Hot Trends] OneBox is to not only provide you with search results as you’d want but also extra meta data on how popular the search is and whether it has peaked in interest, plus the number of sites that are creating chatter and buzz about this particular topic or person, to give a relative hotness rating as well” said RJ Pittman, director of product management for consumer search properties at Google. 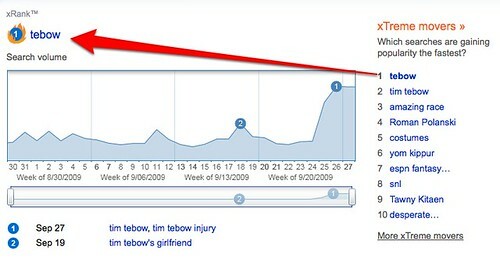 From the OneBox, people can then access more information about the topic using the Google Hot Trends service, which was launched in May 2007. 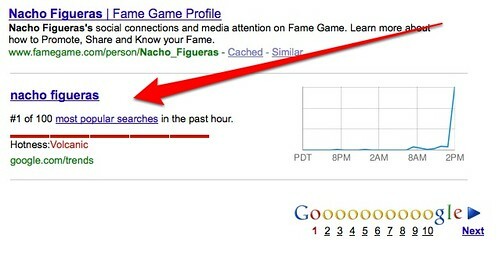 (Google Trends itself, the “parent” to Hot Trends, launched in May 2006 and allows people to see how popular many search terms are over time, regardless of how “hot” they are). The boxes show on Google in the United States and Japan. 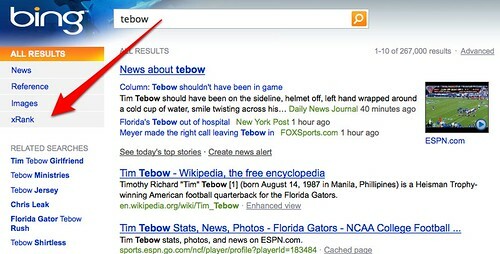 Why bring Hot Trends into regular Google search results? Pittman said it’s due to the “growth and popularity of real time information.” Places like Twitter allow people to tweet or microblog information within seconds, causing others to turn to them to discover the latest trend in news and current events. Google realized it has a great source of microblogged content itself, what people put into the Google search box (which recently got bigger). “Trends is all based on a different kind of tweet. Instead of the 140 character tweet, it’s the 20 to 25 character tweet, the keyword search. And those come in much faster than tweets do. In our view, that’s the highest fidelity information for trending topics,” Pittman said. What would really make Hot Trends more compelling to me is if there were real time information listed along with the news, blog posts and web page articles shown (see my What Is Real Time Search? Definitions & Players article to better understand what I mean by real time content). Will a “Twitter Results” or “Real Time Results” column be coming? “Not at this time,” said Pittman. To me, that means Twitter (and to a growing degree, Facebook) will remain a draw for searches where you are seeking immediate confirmation of an event that hasn’t yet gotten news coverage (“Was that an earthquake? “Is the cable out in my area?”). As part of the new launch, another change has been to reduce the number of Hot Trend topics shown on the Hot Trends home page from 100 to 40. One reason is to help reduce the amount of spam that has sprung up around Hot Trends, misleading or low-content blog posts and web pages created around trending terms in hopes of getting traffic. “Potentially could be a nice side benefit [spam reduction]. Whenever Google does something like putting together something useful for our users like Trends, these often become targets. We’ve done our best efforts to combat the spam and keep the quality of the list as accurate as possible,” Pittman said. The main reason for the reduction, however, is to keep those new to Hot Trends from being overwhelmed. Currently, Hot Trends are viewed by people who deliberately seek that type of deep dive into the information. 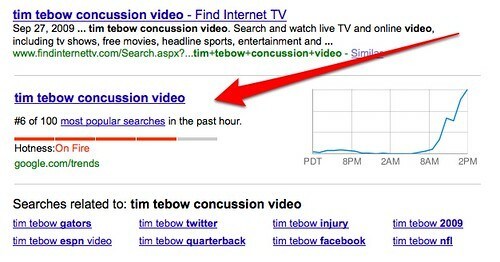 Now, more “regular” searchers may stumble into the area, so Google doesn’t want to “overload” them. While the Hot Trends site will only show the top 40 trends for a given hour, the full top 100 list will continue to be used to trigger when a Hot Trends OneBox may show in regular Google search results. 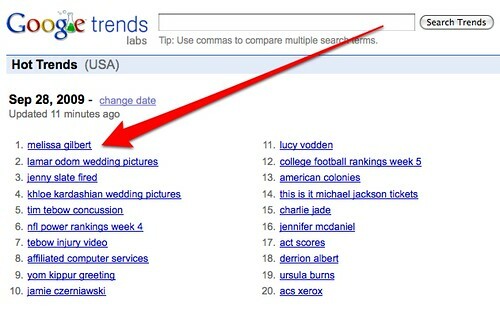 As for Google Hot Trends — watch this space for more, says Google. “Trends is becoming more relevant than ever. I think this is just the beginning of our efforts in this area,” said Pittman. See also Techmeme for related discussion.